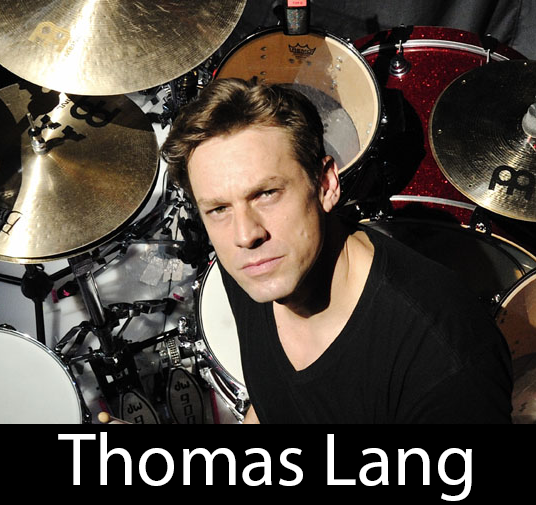 Austrian born drummer, Thomas Lang, like many professionals, started playing the drums at the age of 5. Years of drum lessons and practice brought this young and upcoming drummer along very well. Thomas Lang was the youngest student to be enrolled at the Vienna Conservatory of Music. There he learned all different styles of music like Jazz, Classical, Fusion, and big band. Upon graduation, Thomas immediately began working with many different bands and artists in Europe. He engulfed himself in work, sometimes doing up to 15 projects at a time. Eventually, Thomas established a name for himself. Play Along Jazz is proud to offer 3 original tracks performed by drummer Thomas Lang and the Play Along Jazz band. The compositions are written and arranged by Vinny Valentino specifically for Thomas Lang and exclusively for PAJ. The Druminator. A variety of products are available for download.